If a band is described as “one of the best live bands in the world” by the former manager of The Ramones, you can safely assume there’s something pretty special about them. 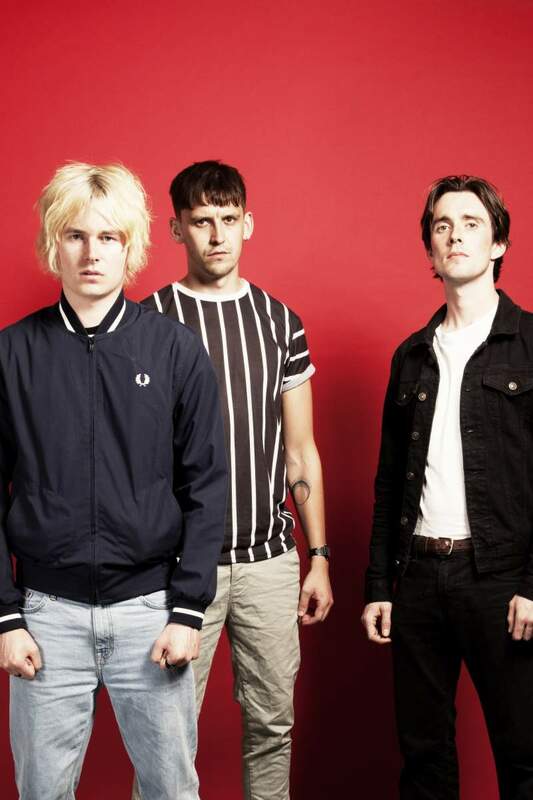 Whether you believe the considerable hyperbole surrounding East London trio False Heads or not, there’s no denying that in counting the likes of punk royalty Iggy Pop among their fans, they should be guaranteed at least more than a passing listen. Having been a going concern for barely two years, False Heads’ sound spans the angst-ridden overdriven guitars of Comfort Consumption to Thick Skin’s snotty ripostes, Slew’s ponderous bass and the Nirvana-esque TwentyNothing, which signals a carefully restrained rage that’s bound to be unleashed on the live stage. The band will be performing at Stockton’s Ku Bar on Friday 14th September, accompanied by a couple of well-chosen local supports in Middlesbrough’s SWEARS, whose own accessible scuzzy and doomy noise pop has been known to cause a live ruckus, plus Teesside’s Heel Turn, stern proponents of the region’s DIY scene with their own Sad For Life Records label. What’s more, the afterparty promises two rooms of indie anthems and floor fillers guaranteed to get your weekend off to a noisy start. Get on it.